In many companies, your manager will know the team’s and company’s objectives, but you won’t. He may keep crucial information from you so that he can consolidate decision-making power. For employees to think for themselves, they need information—and that comes from transparency. At Qualtrics, not only can every employee see the company’s objectives and every employee’s objectives, every employee can also see what every employee has gotten done recently, performance reviews and ratings for all employees, meeting notes from all meetings that have taken place, and even the office’s security camera footage. We took our best product guy and some of our best engineers and built a system internally to help scale our organization by knowing everyone’s objectives in the company. We have five objectives annually for our company, and everyone goes into the system each quarter to put in their objectives that play into those broader goals. 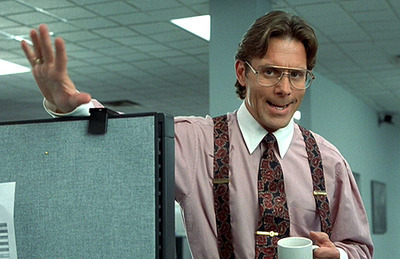 We have another system that sends everyone an e-mail on Monday that says: “What are you going to get done this week? And what did you get done last week that you said you were going to do?” Then that rolls up into one e-mail that the entire organization gets. So if someone’s got a question, they can look at that for an explanation. We share other information, too — every time we have a meeting, we release meeting notes to the organization. When we have a board meeting, we write a letter about it afterward and send it to the organization. When everyone’s rowing together toward the same objective, it’s extremely powerful. We’re trying to execute at a very high level, and we need to make sure everyone knows where we’re going. Qualtrics is taking to an extreme what many tech companies have done to eliminate the manager-as-a-single-point-of-failure antipattern of corporate organization. Transparency gives the power of self-determination to every employee in the organization.